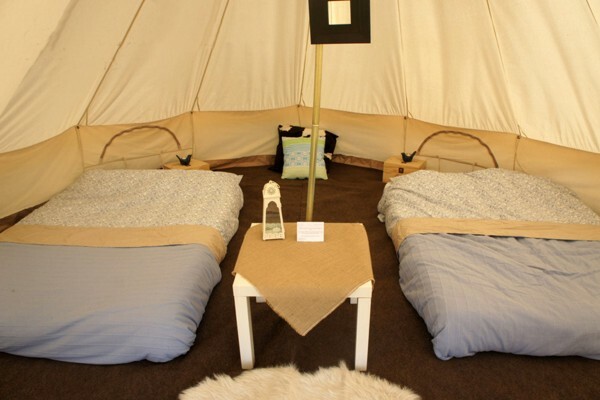 You can book-out beautifull bell tents directly with us at Eweleaze Farm. These tents are available throughout the whole of the Eweleaze camping season, and will be located in prime positions on the site - Glamping doesn't get any better than this! 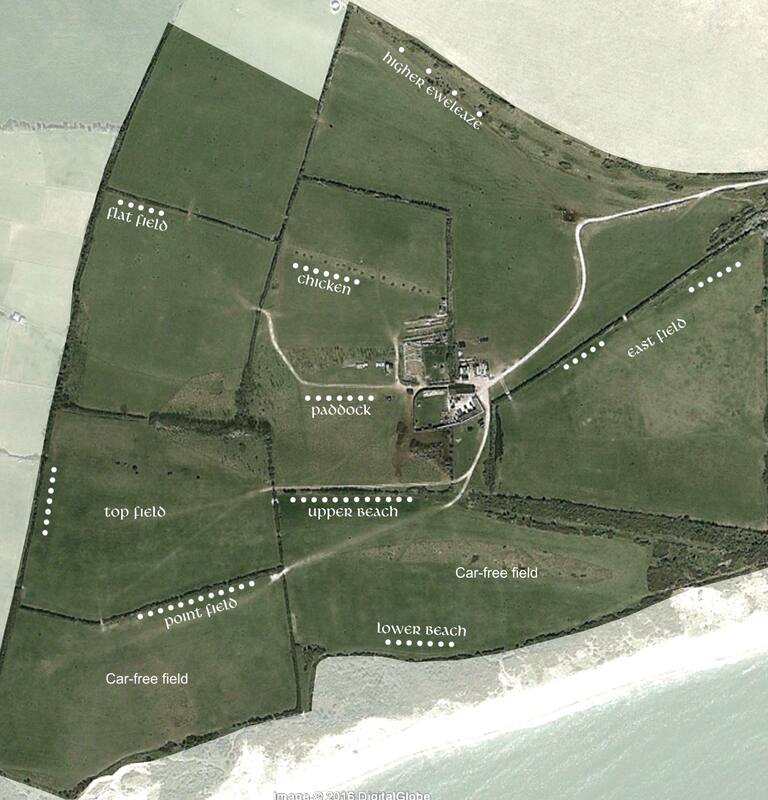 Decide in which field and row you would like your tent located (map at bottom of page). The tents are located in the most popular spots on the site. There is sometimes enough space for other party members to pitch a normal tent close by. If you are with a large group, or just want to be in a particular place, then you can choose your own pitch anywhere on the site when you arrive. Use the link below to book numbers of people, the bell tent package and your location option A or B. Specify your 1st and 2nd choice of row (for option A). Let us know if you will have others joining you. Tent locations are allocated on a first-come-first-served basis. We will try to give you your preferred location option and row, but cannot guarantee this. Check in to Reception. Here a member of the Bell Tent team will show you the location of your pre-sited tent, or help you choose a spot if you are choosing your own pitch. 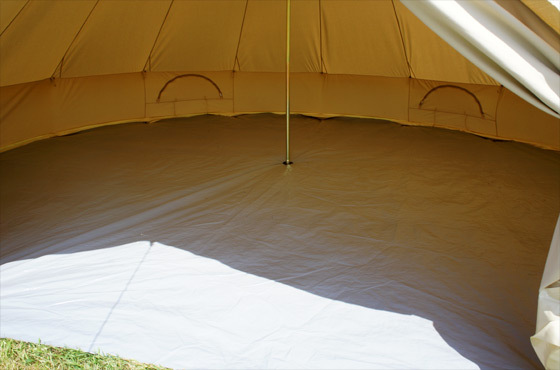 This unfurnished tent is perfect for larger groups who want to bring their own furnishings, beds and bedding. This is a basic tent with a groundsheet. This tent is as for the Standard, but with coir carpet and air beds. This furnished tent is the perfect option for a family or couple who don't want to pack everything into the car - just bring yourself! The pre-sited bell tents are in prime locations around the campsite as shown above. Note that two fields are car free - you can bring your car on for arrival and departure days only. Please put on the booking form your 1st and 2nd row location choices, which are allocated on a first-come-first-served basis. Any questions please email or phone us! Page generated in 0.04407 seconds.